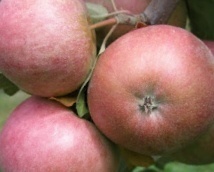 Chisel Jersey - Cider Apple Tree £12.75 - Cider Apples - Bittersweet Apple Trees and Fruit Trees For Sale. Buy at competitive prices with wholesale discounts. Chisel Jersey is an old variety that dates to the late 19th century and was once commonly found around the Martock area of Somerset. It will produce a full-bodied bittersweet juice, rich in colour and with astringent tannin. It is a first class addition for a blend. It is a vigorous tree that readily forms a strong centre-leader and can produce reliable and regular crops of fruit. It is also worth noting that whilst Chisel Jersey is a very late flowering variety it will not be pollinated by Dabinett, which is often in flower at the same time.